Happy to see we weren’t the only ones getting our Christmas trees last weekend, even though Thanksgiving came a little early this year. 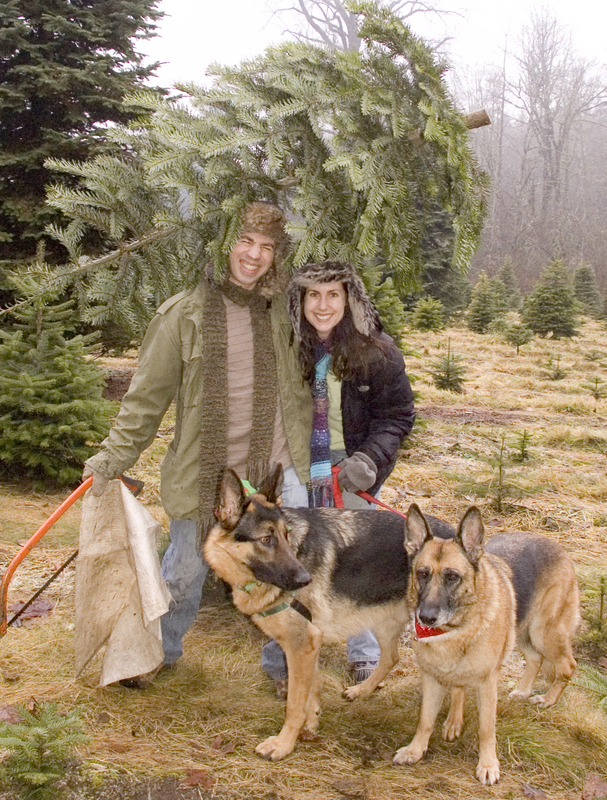 Also tickled to find a dog blogger across the country who has the same tradition as we do: Taking the dogs to the tree farm. Our tradition goes back to 2006, when Isis was a mere Muppet Baby. 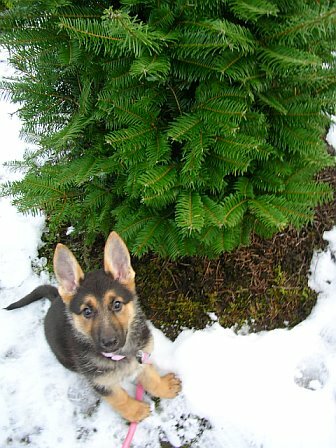 Our visits to Red Mountain Tree Farm in Everson grew more complicated after Isis became reactive, but in front of the camera, she was a supermodel. Look carefully at the two photos to see my technique for getting her to smile. 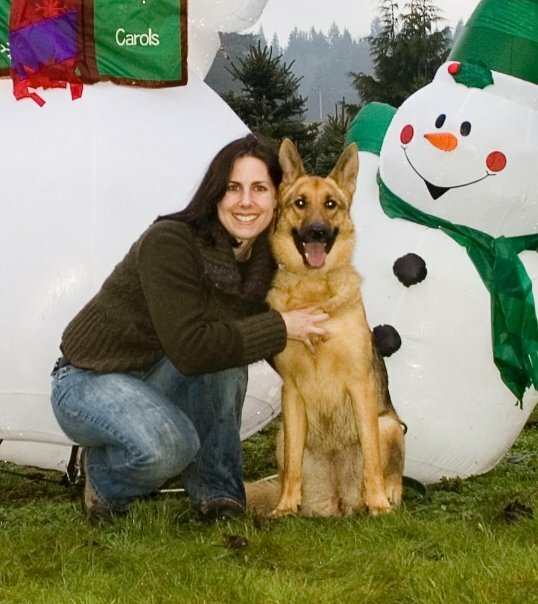 Same tree farm, but in 2008, they had inflatable snowmen. 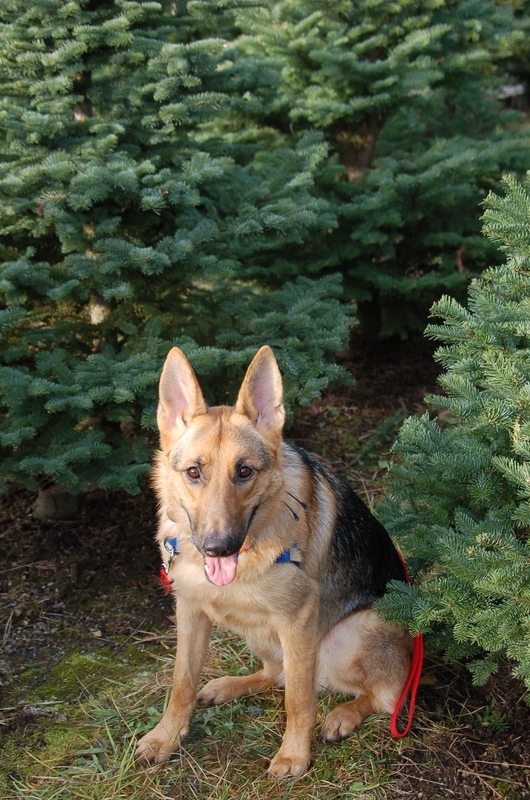 As devastatingly handsome as Leo is, he was camera shy during his first visit to the tree farm. I tried to encourage him by smooshing my face against his. Leo’s first Christmas, 2010. He’s 9 months old. 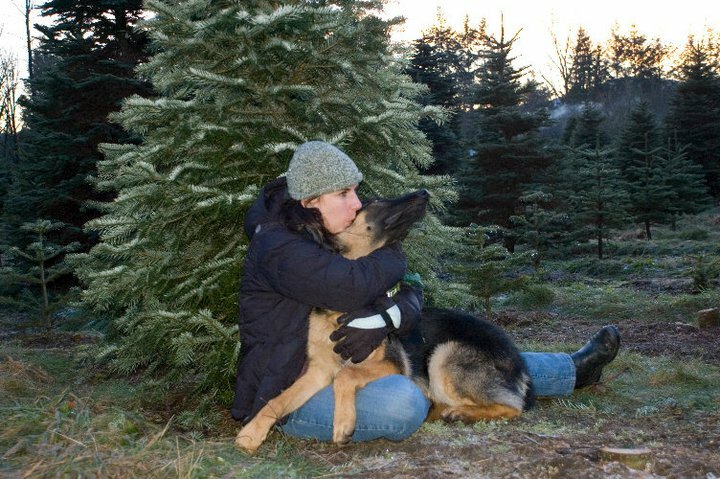 My heart breaks over Christmas 2010 because we couldn’t have both dogs in the same photo. And it was Isis’s last Christmas. 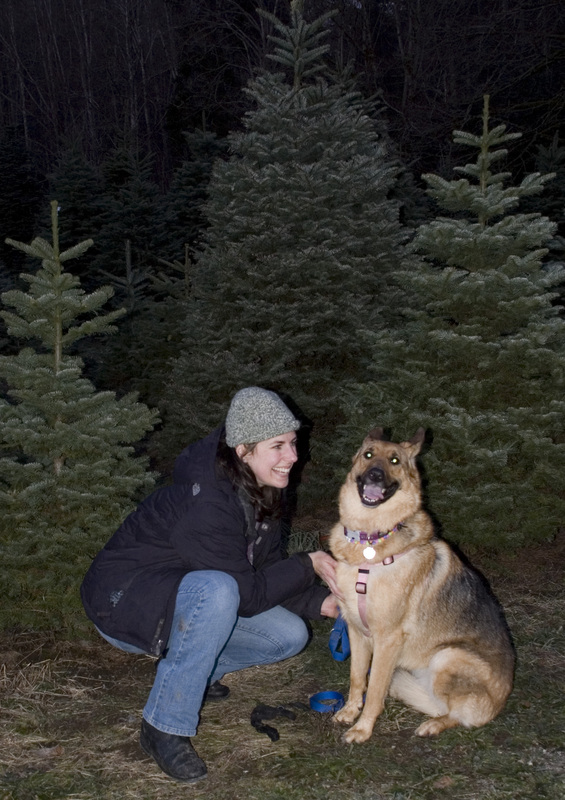 A year later, we had Mia, and could photograph the doggies together. 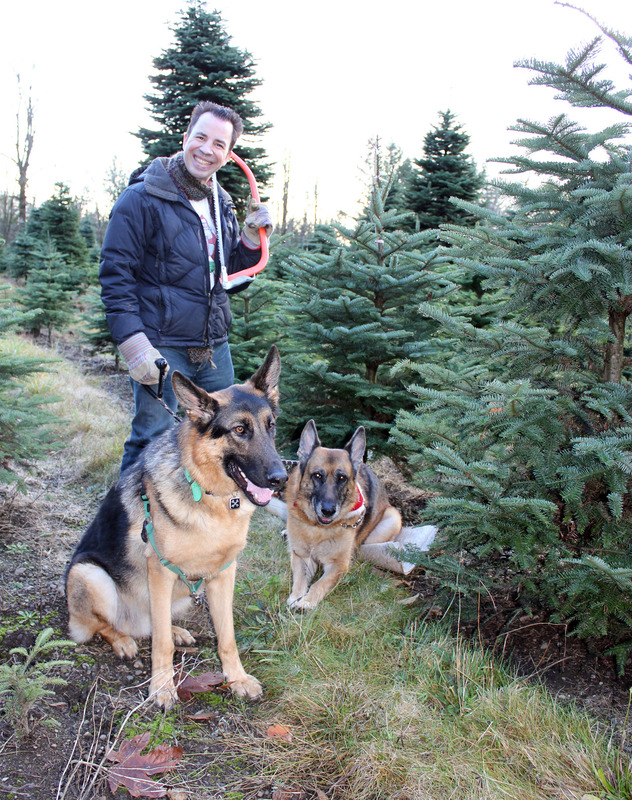 This year, we didn’t have Rob’s mom with us to take our picture, and hardly anyone was at the tree farm when we were there, except an unattended black Lab who likes to pee on the trees. 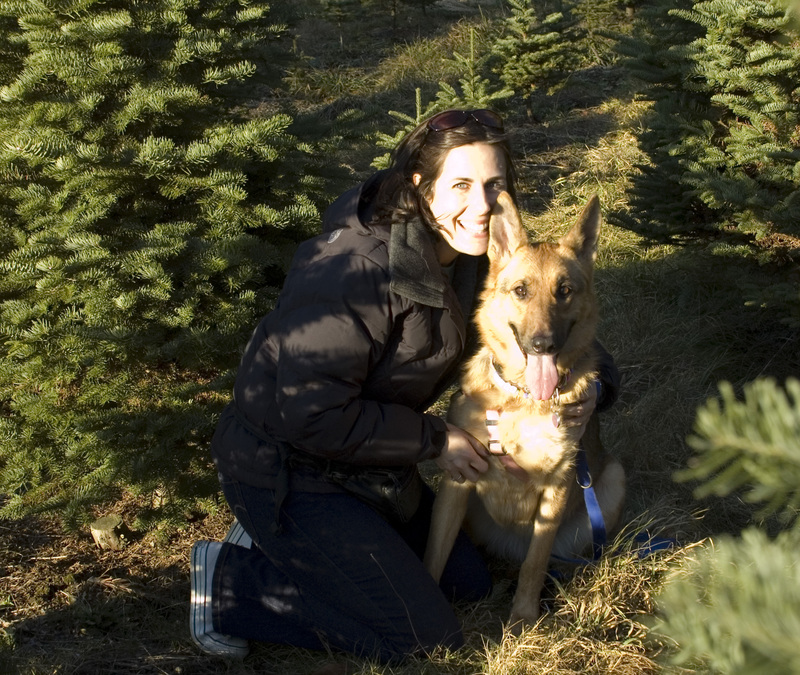 (Leo only peed on one tree, and we bought that one for the martial arts studio). So we have photos of each of us with the dogs, but none of us together. 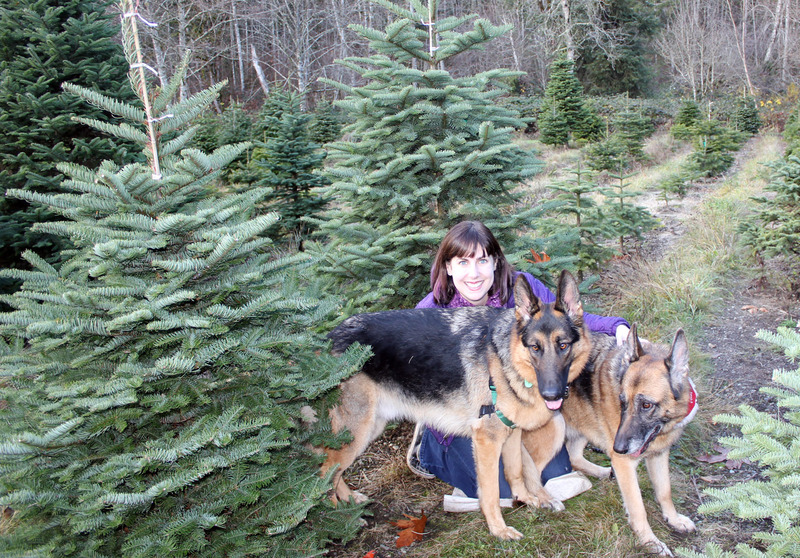 Christmas 2012, beside the tree Leo didn’t pee on. I can imagine! Two is a handful enough!